Camping La Vallée de l'Indre er en campingplads med 110 åbne pladser. I lavsæsonen under perioden 01-04-2019 - 07-07-2019 og 26-08-2019 - 30-12-2019, camperer du for €16,- per nat på en af de 110 åbne pladser på Camping La Vallée de l'Indre i Montbazon (Indre-et-Loire). På denne campingplads kan du, udover fordelagtig campering med dit CampingCard ACSI, også bruge dit ACSI Club ID (stedfortrædende identitet). Fredfyldt beliggenhed midt i Touraine området og ved bredden af Indre. God gennemrejsecampingplads ved N910. På campingpladsen er der en restaurant og en legeplads med hoppepuder. Ligger på gåafstand fra butikker. Midt mellem slottene (Azay le Rideau-Amboise-Villandry-Ussé) og Honoré de Balzac museet (Saché). I think that this is the least good ACSI site that we have visited in our 4 year membership. The site was damaged in the floods in June this year and is in a state of dis-repair. Specifically the toilet block is a building site and punky partially functional and there is no proper place to get fresh water to fill the tank on motorhomes. We won\'t be returning any time soon! This is a lovely spot right in a small town with restaurants and shops to hand. NB everything is closed on Tuesdays. There are excellent walks along the river and in the woods. BUT the facilities are bad: no toilet paper, no hot water, cold and poorly drained showers. The pitches are rutted and the grass uncut. They are recovering from floods but that doesn't excuse cold showers. Best to shut it, do the repairs and then re-open what could be a brilliant site. We stopped for one night while headed north. The campsite is easy to get in and out of and handy for an overnight stop and set in a nice location. However, it was undergoing major renovations with many jobs not completed and should not have been open. The shower block was not finished, no water flow in bathroom sink, no area for emptying toilet waste, no areas to fill with fresh water, cold water in all but two sinks for washing dishes and overall the site a bit of a mess. We can see that it could and possibly will be nice however I don't think they should have been charging or have been open at all. It was a let down after all the amazing ACSI sites we stayed at during this trip through France. 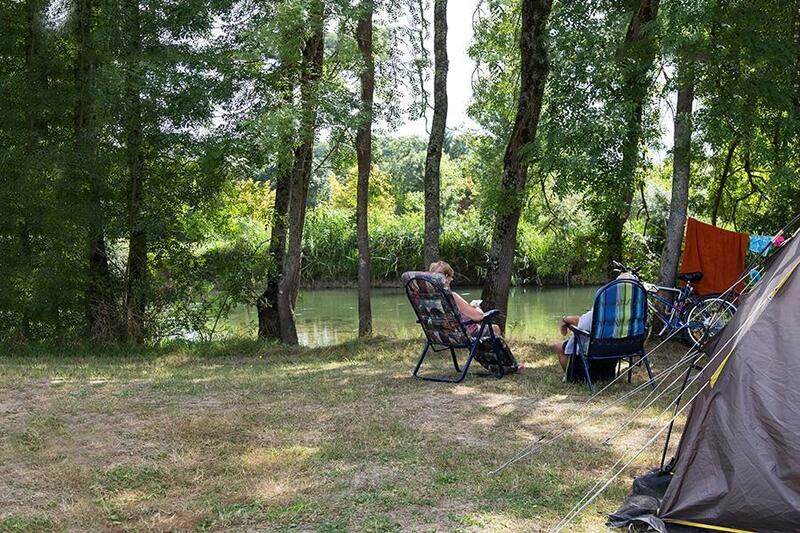 Vil du booke Camping La Vallée de l'Indre eller have yderligere information? Det kan du via nedenstående oplysninger eller via campingpladsens hjemmeside. Via A10 frakørsel 23 Chambray eller frakørsel 24 Sorigny til D910 mod Montbazon. Følg ved Office de Tourisme campingpladsskiltet. Godt skiltet. CampingCard ACSI sender din forespørgsel videre til "Camping La Vallée de l'Indre".